My Dad and I are, in most ways, very different people. Growing up on a farm in Canada with six brothers, his youth was spent embarking on rural adventures that would grow to become the stuff of legends in my family. "Hey Andy, remember the time you almost severed your toe in that pond full of glass?" "Remember when that muskrat bit you because you were trying to pull it out of its hole by its tail?" Listening to my grandmother detail the history of his childhood, it's a miracle he survived. I've always been much tamer. Presented with that same pond (and not knowing its contents) I wouldn't have even considered hopping in. And yanking on a muskrat's tail? I have a hard time with mice. Far more interested in electronic pursuits, I spent my youth far and away from the sorts of dangers that turned my Dad into the (almost fatally) active man that he's been throughout his life. And while I'd like to say that our differences have never been an issue and that we've spent our lives as peas in a proverbial pod, I can't. The reality is, that while we do love and care about each other, there's always been a gap of understanding between us. I'll never understand why he'd find it fun to suit up in a spandex and ride his bicycle for 20 miles and I doubt he'll ever quite fathom why I'd rather stay home to head-shot Stormtroopers in Star Wars: Battlefront. Nowadays, this gulf just means that we sometimes run out of things to talk about when we see each other. Growing up though, there were moments where this lack of mutual understanding made things hard. I spent years feeling like I was a disappointment and the salt of that often added some extra sting when things didn't go well between us. There were other occasions though, where it also drove home how much he really did care. 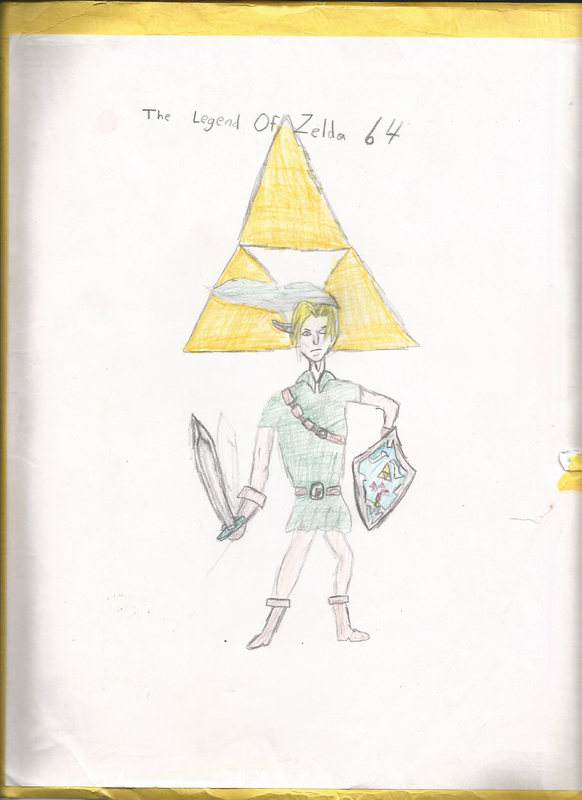 Back in my pre and early teens, I was about as gigantic a Nintendo fanboy as you'd ever find. 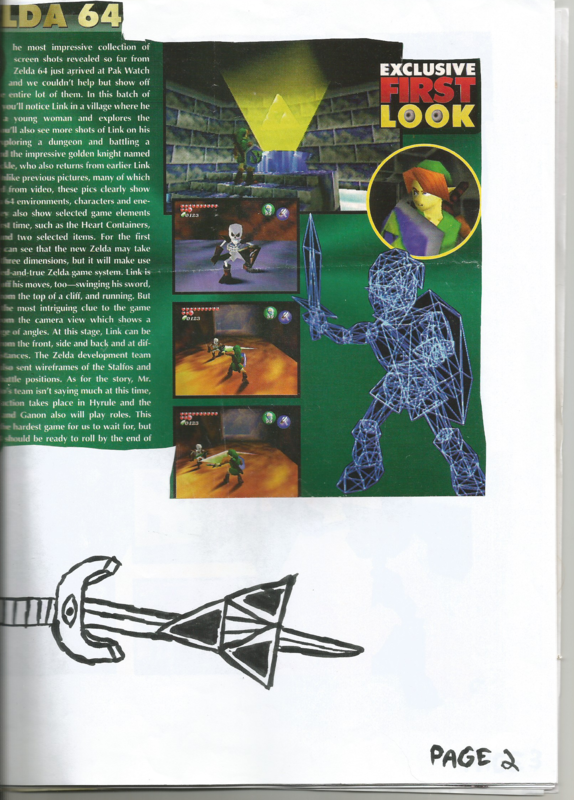 While there were a number of reasons for my dogmatic adoration of Big N, the easiest thing I could point to was the simple fact that Nintendo had Zelda and no one else did. 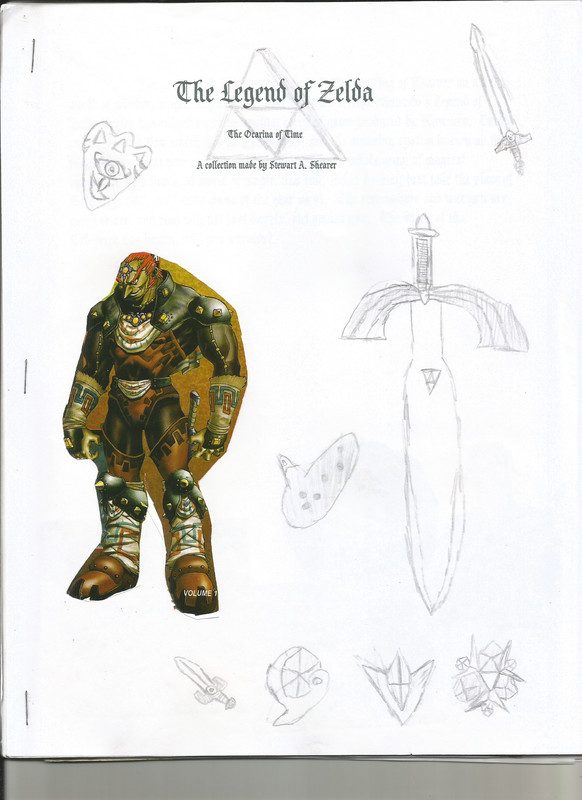 I loved The Legend of Zelda. My family had a VHS recording of one my birthday parties that I used to dig out and watch just because there was a small section where me and my friends were playing the copy my parents had rented for the occasion. From its golden cartridge to its gameplay and music, there wasn't a thing that I didn't love about that NES game. Of course, my hype for the series was probably helped along a bit by the fact that I didn't own the game myself. I wouldn't get one until 1997 when I stumbled onto a used copy at a small game store. The same can, sadly, be said for its sequels. 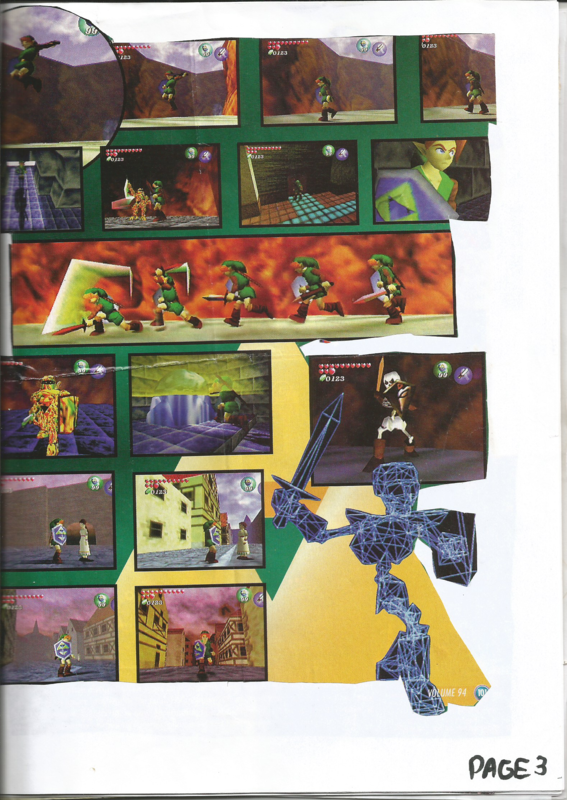 To this day I've barely played any of Zelda II and up until 1996, when I got my own SNES for Christmas, my experiences with A Link to the Past were limited to small chunks of playtime stolen during visits to the houses of friends and family. 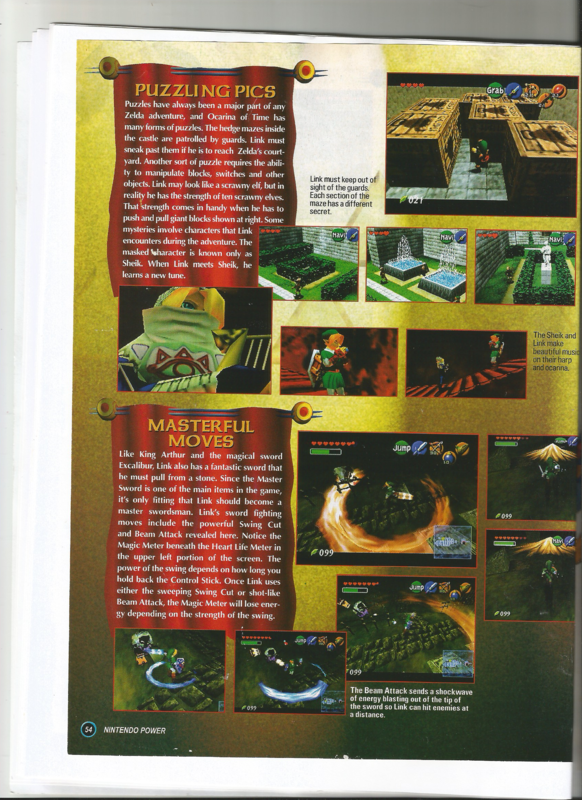 As a result, when I caught wind of the The Legend of Zelda: Ocarina of Time, I vowed that I wouldn't be left in the dust again. Of course, it wasn't enough to just want the game. For two full years I obsessed over every piece of Zelda news I could get my hands on. 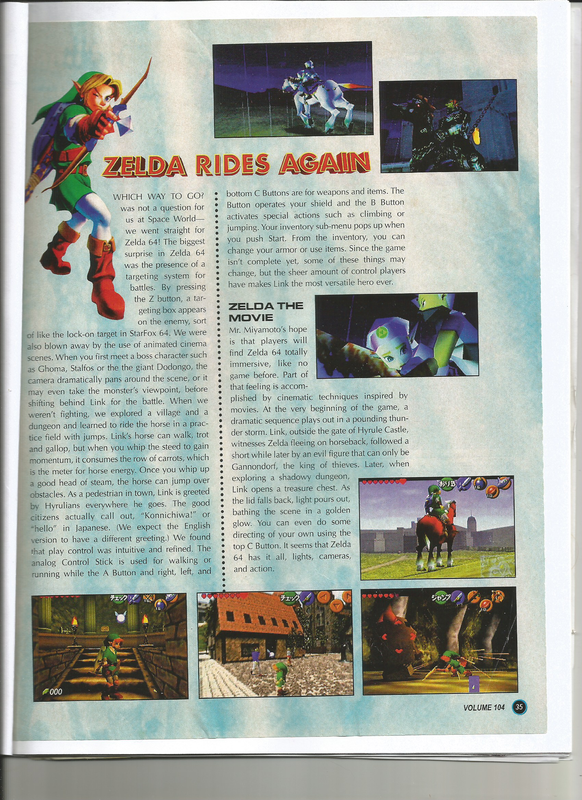 When I visited the corner store near my Gran's house, I'd hone straight in on whatever gaming magazine had the most Zelda content. 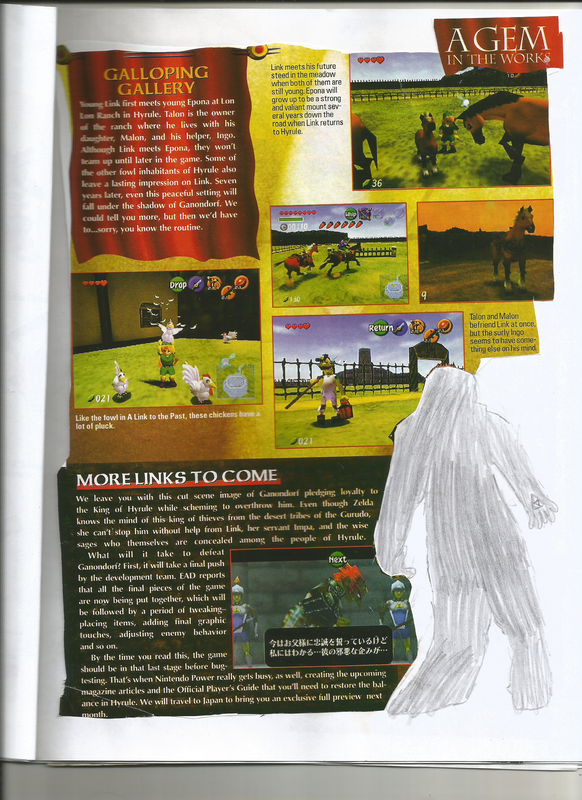 I went as far as clipping a bunch of the articles and collecting them in a stapled together scrapbook that I still have today. 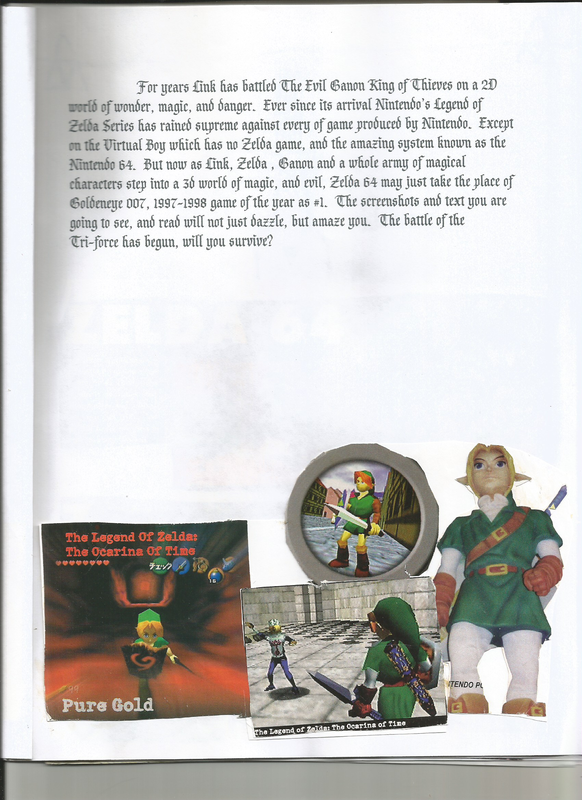 "Ever since its arrival [,] Nintendo's Legend of Zelda series has reigned supreme against every [other] game produce by Nintendo," I wrote on its intro page. "The battle of the Tri-Force has begun, will you survive?" With each passing month, it just looked better and better. There was no question in my mind. I had to have this game. 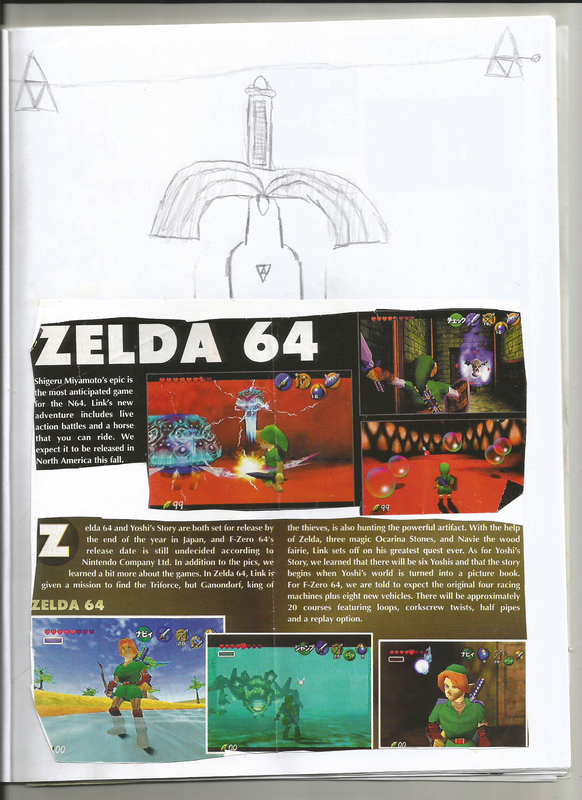 The problem was, for all that I'd done to build Ocarina of Time up in my head, it never actually crossed my mind to save any money for it. The game's release was getting closer and I didn't have anywhere near enough cash to reserve a copy. 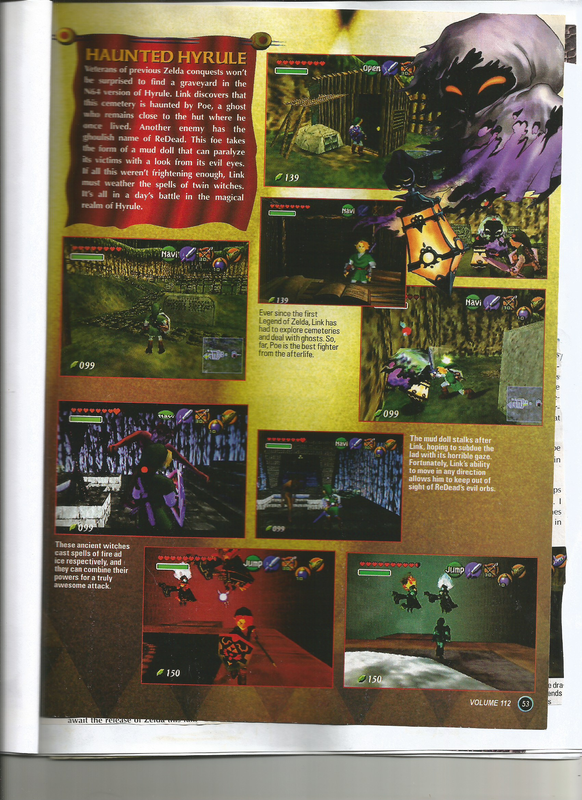 Keeping in mind that this was back in the day when pre-orders were actually important, I found myself in something of a predicament. 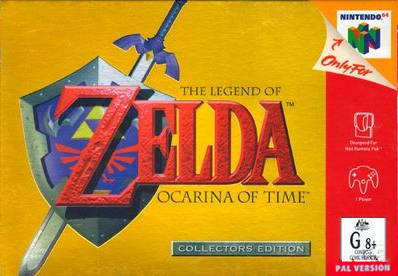 If I was going to get Ocarina of Time it would have to be a Christmas present. I went to my Mom first, thinking it would be a sure thing. Christmas, after all, was her holiday and she had demonstrated, over the years, a distinct willingness to exercise her credit cards in the service of making our holiday's memorable. You can imagine my surprise when she informed me that money was actually a bit tight and that she didn't have the cash to reserve me a copy in advance. My only other choice would be to ask my Dad.